Japan is thought to be the fastest ageing nation in the world and while it’s graying population figures out how to adjust to their golden years, another challenge is ever so present: taking care of their senior pets. An interesting statistic is that Japan has more registered pets (20 million) than children (16 million). When the elderly can no longer care for their senior pets due to their own declining health, they will usually end up alone in shelters. However, an interesting concept has recently popped up in Japan. A care facility called Roken Honpo, which in English means “Old Dog Head Office.” It is here that Japanese pet parents can ensure that their beloved senior dogs receive shelter, food and medical care. It essentially enables them to be comfortable and peaceful in their final years. Of course all good things come with a price and this one will set you back 75,000 Yen or $670. 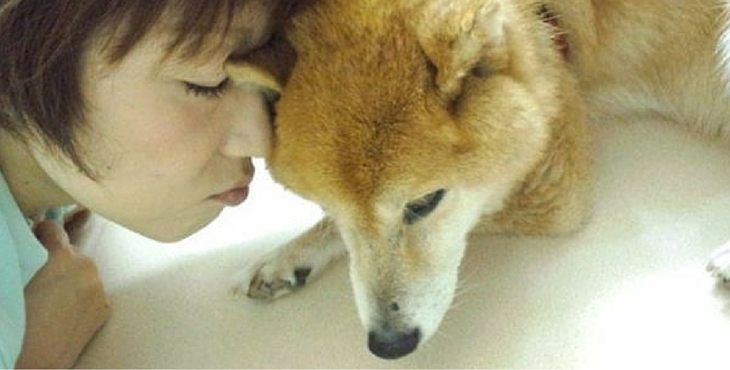 In this video you will meet a 17 year old Shiba Inu named Nene, who is unable to walk on her own. Her owner brought her to the retirement home where you can see that she is being tended to and cared for by the staff. What do you think about the retirement home concept? If you were unable to care for your beloved fur baby would you consider enrolling them in such an establishment?